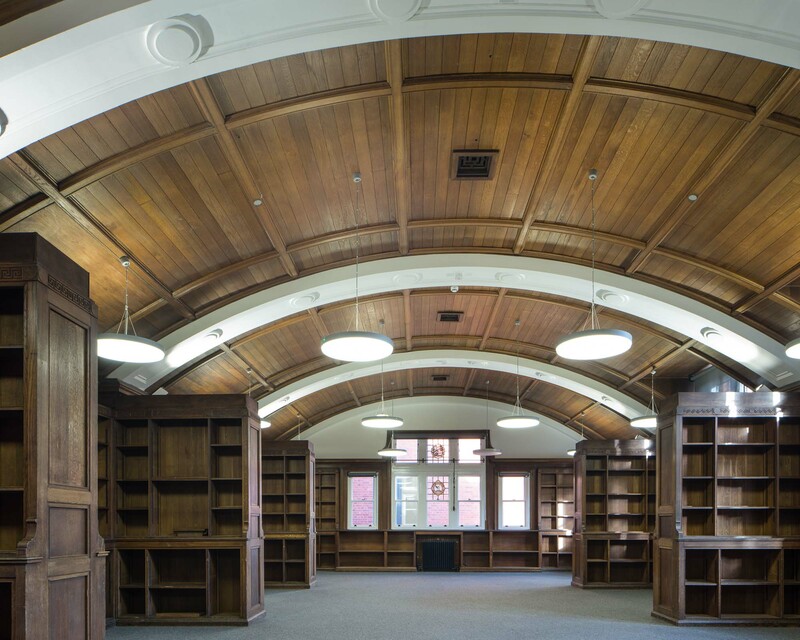 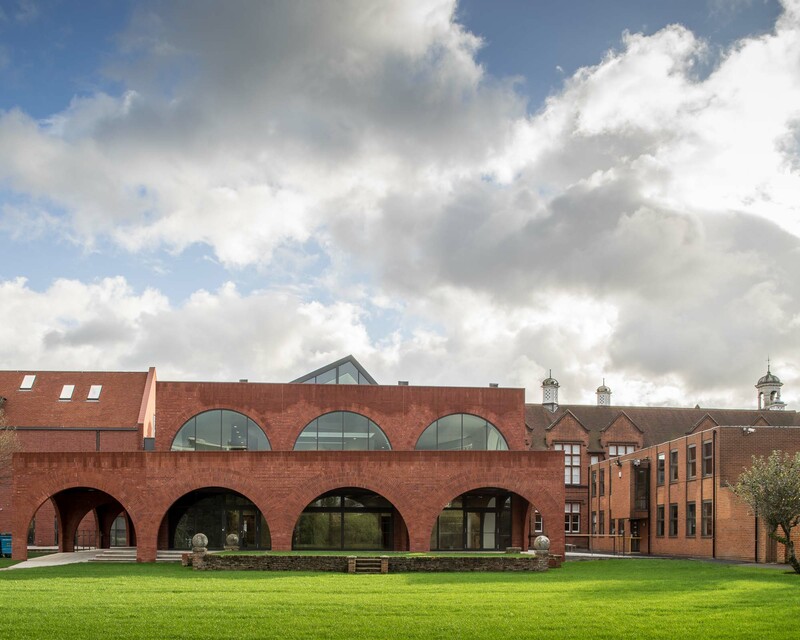 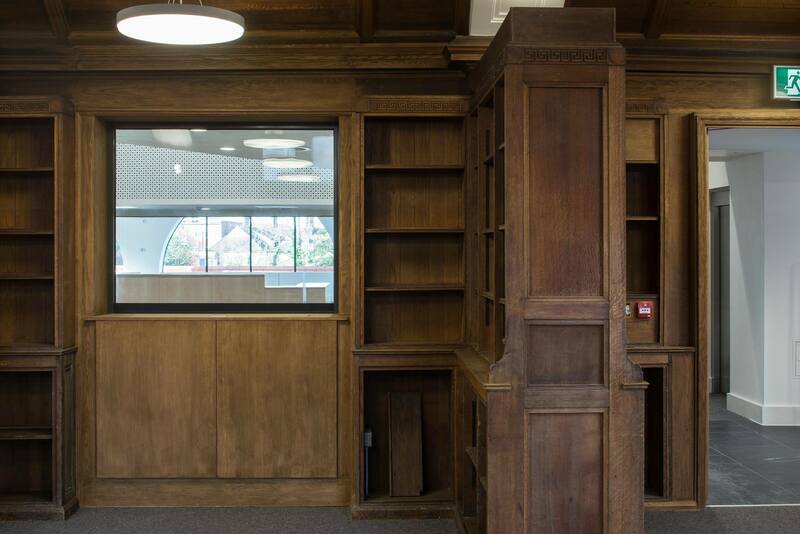 The Bean LRC at Brentwood School in Essex provides the independent school with a new two-storey extension to their existing library. 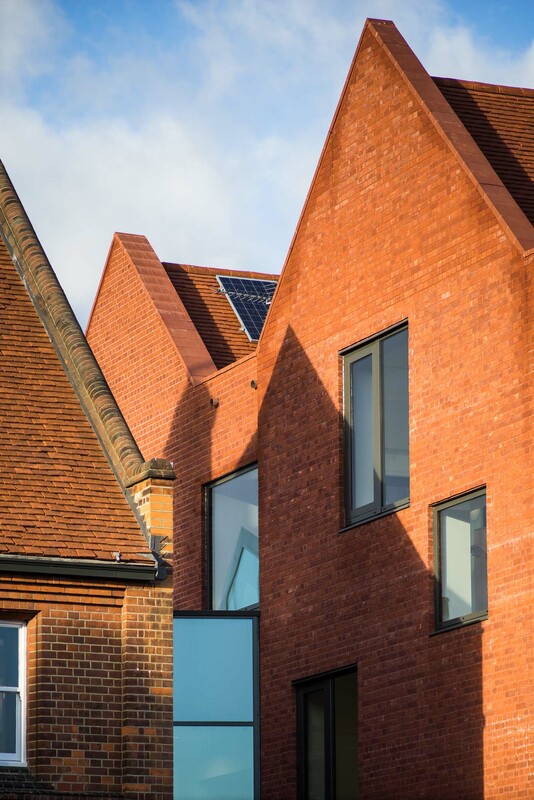 The project also sees the redevelopment of an adjoining 1960s teaching block, increasing learning space and creating a sense of coherence between the buildings. 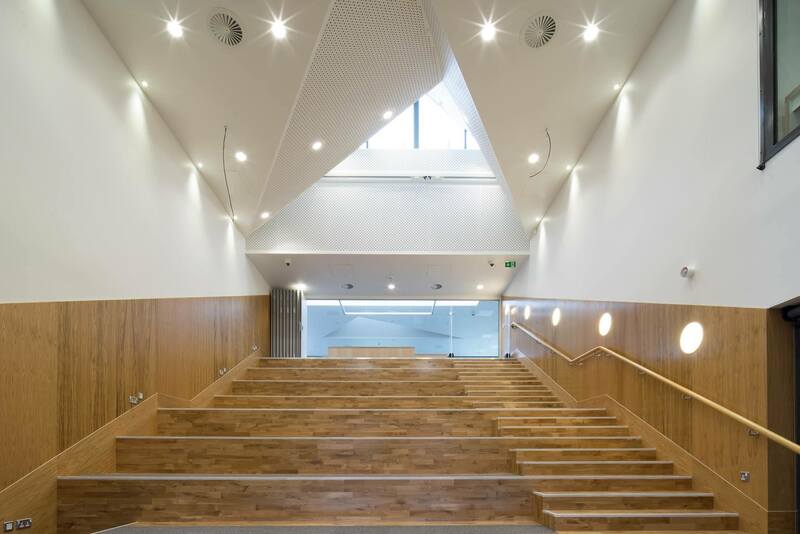 As well as creating an education hub that now meets 21st century demands, the ground floor of the library was designed as a dedicated social area. 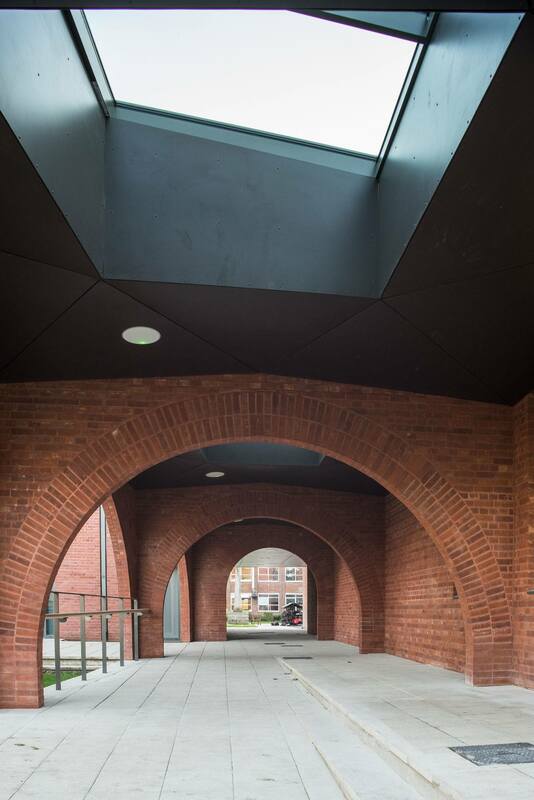 An entrance portico links study and social spaces, offering a transition space that can be used for talks and lectures. 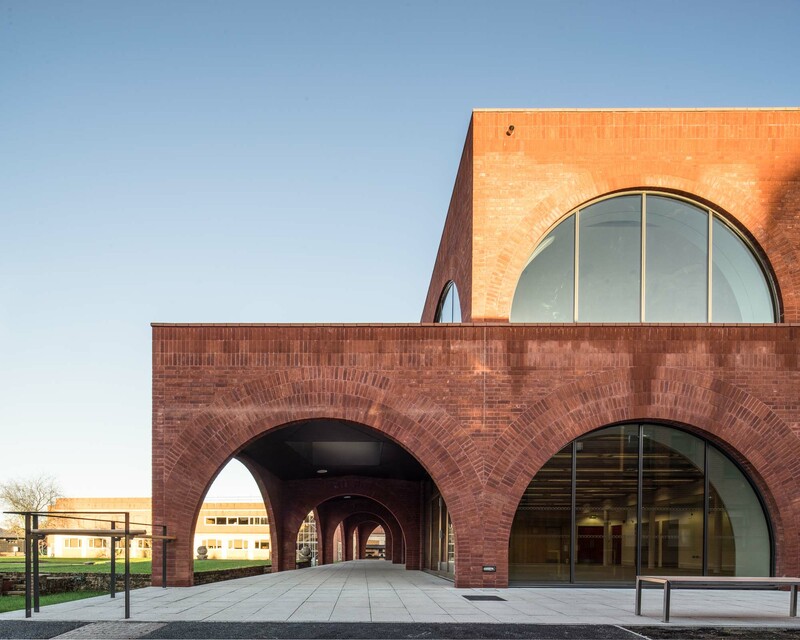 A new arcade arcade physically connects the school’s central gardens and takes inspiration from a nearby cloister, creating a picturesque backdrop to a heavily used stage lawn.